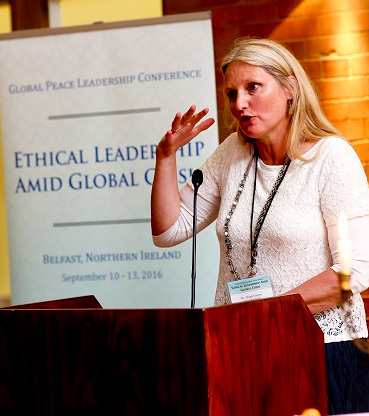 A special comemoration held during the Global Peace Leadership Conference Belfast 2016 remembered the victims of violent extremism around the world on the fifteenth anniversary of 9-11. On the occasion, three poets from the Seamus Heany Centre for Poetry read their original works, bringing forth a shared resolve to transcend terror and build bridges across communities to secure peace and prosperity. past the Big House. It was about 3 miles home. his father had barked at him. mahogany boxes with yellow cards. He was scunnered in the cold, early morning. a few photos with his second-hand camera. The local paper published one. Everyone wanted it. The corner shop made it into a black and white postcard. with his camera and a folder full of photos. He traipsed round everywhere to find work. This was long before film sets or tourist buses back here. as first light filtered through the inky branches. Elaine Gaston is from the north coast of Ireland. She was educated at Oxford University and at Queen’s University, Belfast where she is a PhD candidate at the Seamus Heaney Centre for Poetry. In 2015 she received an ACE Award from the Arts Council of Northern Ireland and was runner-up in the Vincent Buckley Poetry Prize. Her first collection, The Lie of the Land, published in 2015 by Doire Press, was Highly Commended in the Patrick Kavanagh Award. ‘The Dark Hedges’ was first published in The Yellow Nib. they don’t work in a land gushing with blood. as to be weighed down by a gram of nail. 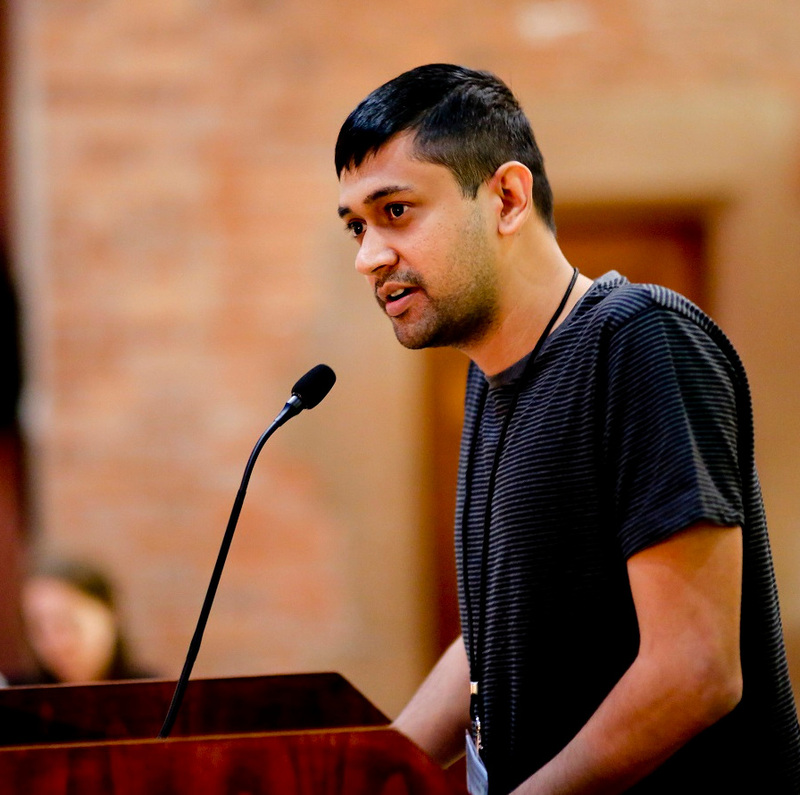 Shriram Sivaramakrishnan is a poet from India, is currently pursuing Masters in Poetry at Queen’s University Belfast. His poems have appeared in Softblow, The Mondegreen, Message in a Bottle and so on. He tweets at @shriiram. 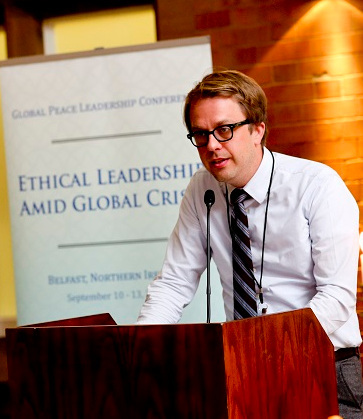 Andrew Deloss Eaton is an American poet living in Belfast, Northern Ireland. His work appears in or is forthcoming in journals such as Copper Nickel, The Moth (Ireland), Poetry Ireland Review, and Prelude, among others. His chapbook Sprung Nocturne is forthcoming.